Details behind the discovery of the world’s richest treasure galleon were just announced, revealing that a search team from the Woods Hole Oceanographic Institution (WHOI) worked with the Columbian navy and Maritime Archaeology Consultants to locate the famous shipwreck off the coast of Cartagena in 2015. Using the Remus AUV (Autonomous Underwater Vehicle), the team led by Mike Purcell located the wreck site with sidescan sonar at a depth of over 600 meters, and documented the site with high-resolution photography, revealing scattered artifacts in exquisite detail. The AUV, capable of searching as deep as 6,000 meters, is the same system that found the wreckage of Air France 447 in 2011 and was used during searches for Amelia Earhart’s Electra last spring with Nauticos. Vice President of Operations for WHOI, Rob Munier, explained that the government of Colombia has claimed the galleon as part of its submerged cultural heritage, and aims to protect and preserve the ship and all its sunken contents. The location of the wreck remains a secret. See WHOI News for more details. San José was a 1,200 ton, 64-gun galleon, launched in 1698. In June of 1708, the vessel was sailing as flagship of a treasure fleet of more than a dozen vessels when it encountered a British squadron of warships not far from its destination of Cartagena. 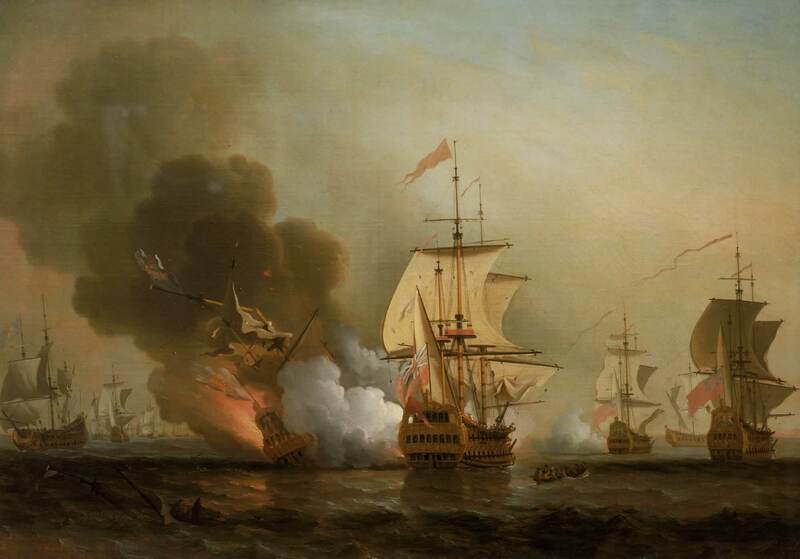 In the action that followed, the powder magazines of San José detonated, destroying the ship, killing all but eleven of the 600-man crew, and sending 11-million gold coins along with silver, emeralds, and other treasure to the bottom. The cargo has been valued as high as $17 billion. Many organizations have sought rights to search for the famous wreck, and a group called the Sea Search Armada conducted offshore operations in 1981, but failed to come to terms with the Columbia government regarding the outcome of any salvage. Congratulations to The team at WHOI and the other members of the search group. We will look forward to further details as the Colombian Government plans to build a museum and world-class conservation laboratory to preserve and publicly display the wreck’s contents, including cannons, ceramics, and other artifacts.